Not only do people get stressed out during a move, but so can your pets! A new place is unfamiliar to pets, and all the commotion of moving your stuff from one place to another can put quite a strain on the furry members of your family. Plan your move the right way and keep everyone happy and safe by following these tips. Pick a safe place to move your family. If you have numerous outdoor pets, make sure the neighborhood has plenty of accessible areas for them to roam around and play. Having a park nearby is a big bonus! You&apos;ll be able to take your pet there every day so they too can enjoy the outdoors, run around and release some of that pent-up pet energy. They may even find a few furry friends to play with at their new home. That will make your new move worthwhile and help them settle into their new surroundings. Who knows, you may also meet some new friends with pets in your new neighborhood. Not all homes or apartments are made for pets. Make sure that above and beyond everything else, the new home or apartment is safe enough for your pet. Avoid places with laundry shafts or windows that can be dangerous for pets. Also, consider the proximity to busy roads and if your pet is going to be able to get outside and find their way into a hairy situation easily. 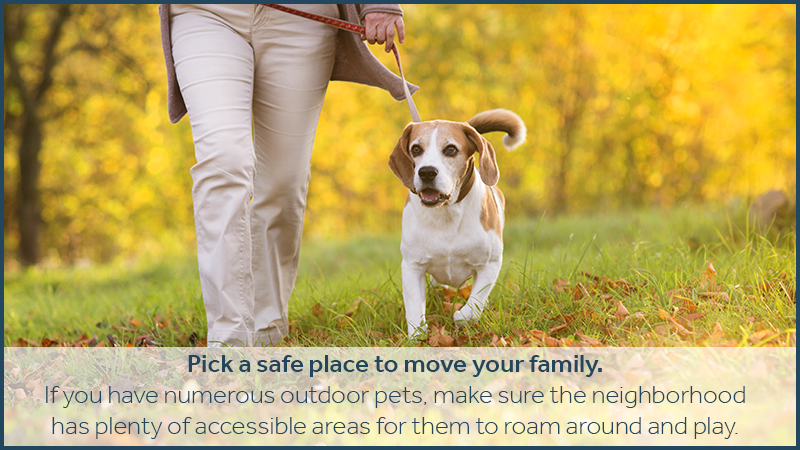 Homes or apartments with yards are ideal because you can step right outside and get some fresh air with your pet. Be wary of pet laws and the availability of pet waste bags or disposal as well. 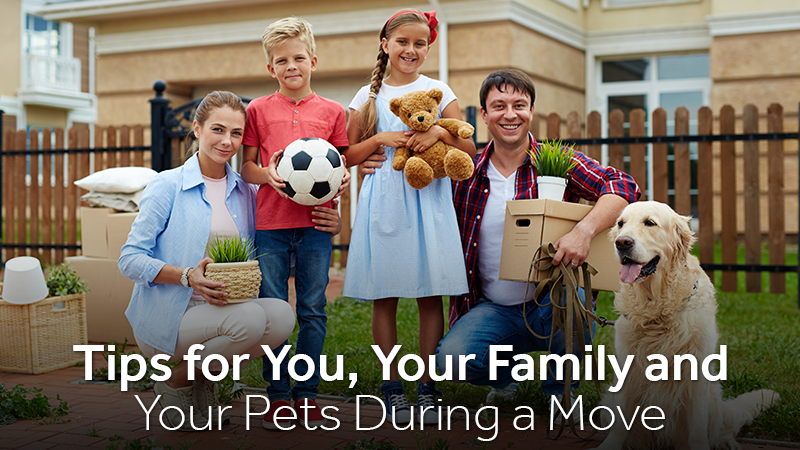 Everyone tries to plan a more affordable move, but while you are strategizing logistics and crunching budget figures don&apos;t forget about the most important aspects of moving--the health and safety of family and your pets! While working out the truck rental, storage and coordinating move-in dates with precision, make sure your pet will be comfortable and cared for the entire time. Ask yourself, will they will have a safe, cozy place to roam during the move? Will they have access to pet beds, toys and food or are these things going to end up locked in storage? If you aren&apos;t sure, it might be best to pack a go-bag for your pet and ask a friend to watch them for a day or two while you complete the move. Moving can be chaotic at times, and sometimes pets will unintentionally get in the way. They can even be injured when movers are trying to get all your stuff packed into the moving truck. Zippy Shell of West Houston understands that these aspects of a move are important to pet owners. That&apos;s why we take care of your move the right way. Contact us to plan your move the safe and economical way!